MIXED new line of sunglasses with sideburns natural wood. 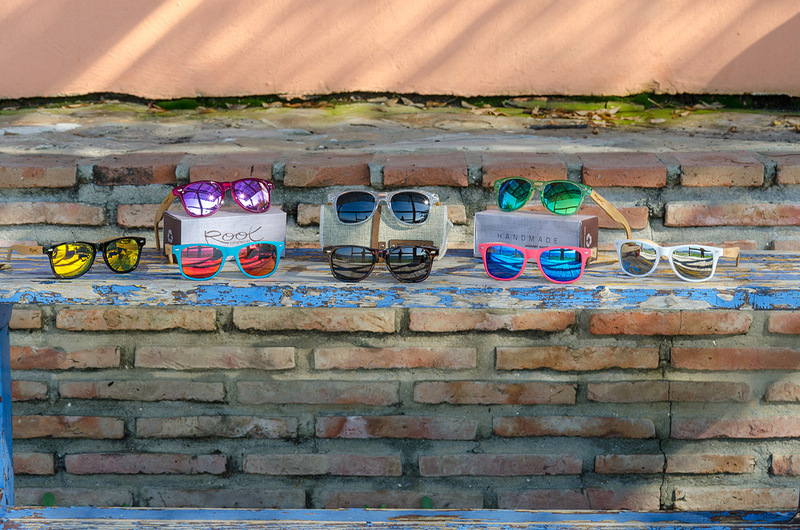 We are thrilled and excited by the new line of MIXED sunglasses with sideburnsof natural wood handmade by Root Sunglasses. The concept MIXED: With this new line of sunglasses looking to combine classic materials in the manufacture of sunglasses as acetates, plastics, metals and other with organic, sustainable, unique and unrepeatable natural materials such as natural woods with the aim to achieve an attractive product line with current modern trends in sunglasses with good relacción value without sacrificing the values and standards of quality of our brand. 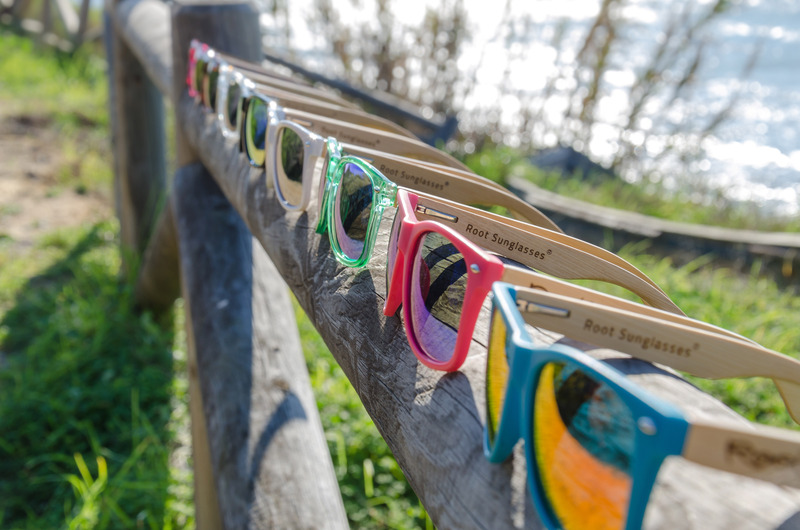 To launch our line of sunglasses MIXED we have designed two different frames to which we have called GUM and CANDY made of synthetic materials and combined it with pins made by hand with natural woods. The CANDY series has a classic front square with metallic trim and the front wayfare style standard size that fits all kinds of faces rounded both man made woman as transparent fashion color, gloss, matte, or style Carey. To smooth matt finish and transparent colors we have chosen light bamboo wood pins and colors for Carey have preferred to make the pins in a darker wood like rosewood. We have combined the Candy series with 4 types of lenses and mirror in solid colors which gives us more than 32 possible combinations. The GUM series has a rounded front butterfly standard as it adapts to all types of women both sides rounded like a man made of transparent colors, brightness, or Carey style. To smooth matt finish and transparent colors we have chosen light bamboo wood pins and colors for Carey have preferred to make the pins in a darker wood like rosewood. We have combined the Gum series with 4 types of lenses and mirror in solid colors which gives us more than 20 possible combinations. 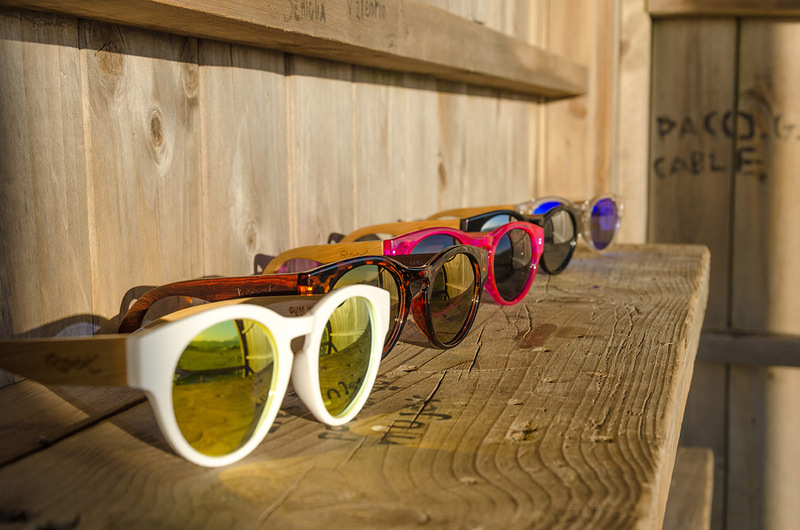 The line of sunglasses with sideburns wooden sunglasses MIXED Root is a quality product made with the best materials, Class 3 mount polarized lenses with full protection against UV and like all our sunglasses have the option to customize with lenses in solid colors, degraded or mirrored lenses REVO lenses that you like. With your glasses with wooden pins Sunglasses Mixed Root recycling we include attractive packaging, a bag of green jute and prospectus.